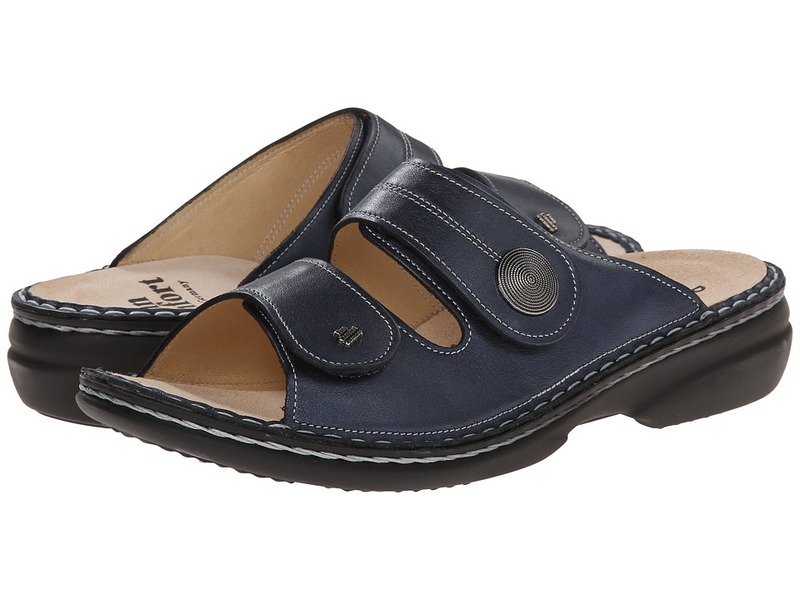 *The Sansibar - 82550 features the original Finn Comfort Classic footbed which has a firmer feel. Sansibar is an upscale slide that features quality construction with rich leather uppers. Stylish, broad band straps offer comfort and adjustability to accommodate various foot types. Full leather lining conform to your feet and helps wick away moisture. Contrast stitching and textured button accent add a touch of fashion to this classic style. Removable, Soft Comfort footbed is constructed with added cushioning for sensitive feet. Suede lining wicks away moisture to keep your feet cool and dry. Anatomic shape evenly distributes your body weight. Resilient, cork / latex base reduces foot fatigue. Water-based, polyurethane outsole absorbs shock and gives you flexible walking comfort. Made in Germany. 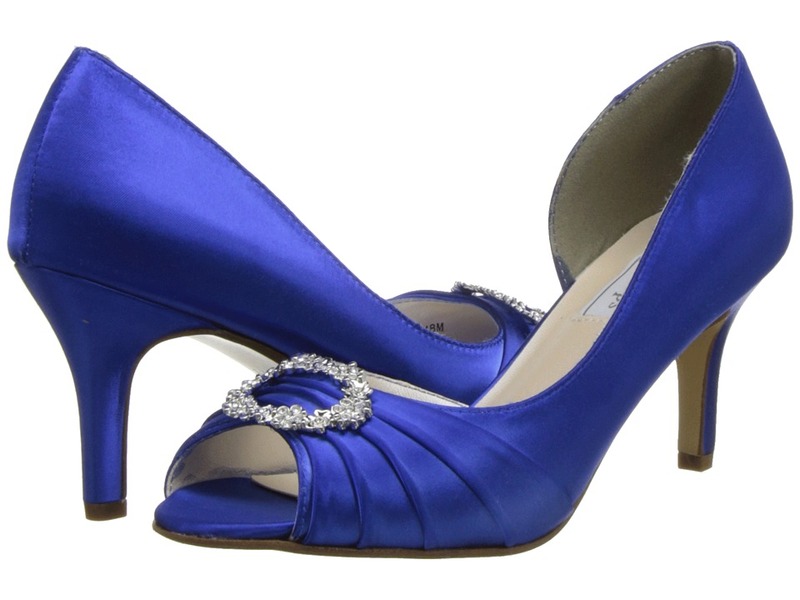 Measurements: Heel Height: 1 in Weight: 8 oz Product measurements were taken using size 36 (US Women~s 5.5-6), width Medium. Please note that measurements may vary by size. Weight of footwear is based on single item, not the pair. This cute and versatile sandal is perfect for any special occasion. Man-made upper has the look of leather. Adjustable buckle closure. Lightly padded footbed. Man-made sole. Measurements: Heel Height: 1 3 4 in Weight: 5 oz Product measurements were taken using size 6.5, width W. Please note that measurements may vary by size. Weight of footwear is based on a single item, not a pair. Add a shimmering touch to your look with the elegant Touch Ups Jane. Metallic faux-leather upper with glitter accents. Adjustable buckle closure. Strappy vamp. Man-made lining. Lightly padded footbed. Covered heel. Synthetic sole. Measurements: Heel Height: 1 3 4 in Weight: 6 oz Product measurements were taken using size 8.5, width M. Please note that measurements may vary by size. Weight of footwear is based on a single item, not a pair. Part of the Dyeables by Touch Ups collection. Stay true to your own classic style with the timeless Penelope sandal! Satin or man-made metallic upper. Please note: The Black and Silver Metallic styles cannot be dyed. Sparkling stone accent on vamp. Adjustable buckle on strap. Synthetic lining. Lightly padded footbed. Kitten heel. Sole made of leather (White and Black colors) or PVC ( Silver Metallic color). Measurements: Heel Height: 1 1 4 in Weight: 6 oz Product measurements were taken using size 8.5, width M. Please note that measurements may vary by size. Weight of footwear is based on a single item, not a pair. Getting dressed up was never so desirable, until you slipped into the stunning Touch Ups&amp#8482 Geri. Textile upper. Sparkling brooch accent. Open toe. Side-buckle closure. Synthetic lining. Synthetic sole. Imported. Measurements: Heel Height: 1 1 2 in Weight: 6 oz Product measurements were taken using size 9, width M. Please note that measurements may vary by size. Weight of footwear is based on a single item, not a pair. Make your evening out all the more memorable when you dance the night away in these precious metal Taryn sandals! Adjustable buckle closure. Man-made upper with glitter strap detail at vamp. Man-made lining. Lightly cushioned man-made footbed. Wrapped heel. Man-made sole. Imported. Measurements: Heel Height: 3 1 4 in Weight: 7 oz Product measurements were taken using size 7.5, width W. Please note that measurements may vary by size. Weight of footwear is based on a single item, not a pair. Make a splash with these scintillating sandals! Adjustable buckle closure. Glittering man-made upper. Man-made lining. Lightly cushioned man-made footbed. Wrapped heel. Man-made sole. Imported. Measurements: Heel Height: 3 1 2 in Weight: 7 oz Product measurements were taken using size 8.5, width M. Please note that measurements may vary by size. Weight of footwear is based on a single item, not a pair.